Windows by default comes with a few file types associated to a few out the box applications which come with Windows OS like for ex. MS Paint, Image Viewer, Media Player but over time users would like to open the same file types using a different program based on requirements.Changing the default file associations for different file types is not so easy. 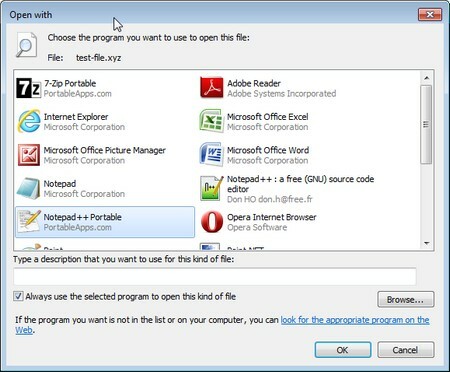 This is a portable app (no-install program) so just Download, Extract and run the program and you see the interface similar to the above image. Now the current associated default program is highlighted in bold, to associate a new program to the extension click “Add” which should open the option to add a new context menu entry. Enter the Command Name for ex. &Play With VLC, Browse and select the application exe file in the Program Path and finally browse and select the Program Icon and Click “Next”. 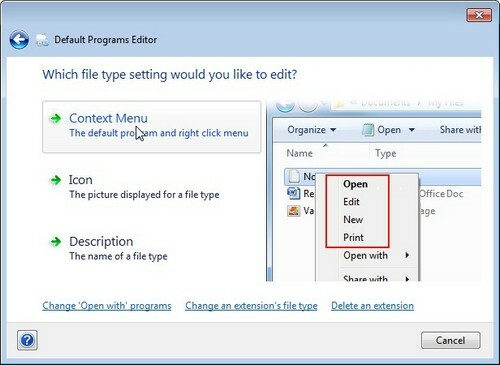 Select the Command You created and click “ Set Selected Command as Default ” this should open the files file in mkv in the program you wanted using the command you just created. Do share you thoughts on this app or if you use a different method for changing file type associations to programs . Note : Backup your registry before making any changes.